Rustam Inoyatov has substantial business interests in Russia. 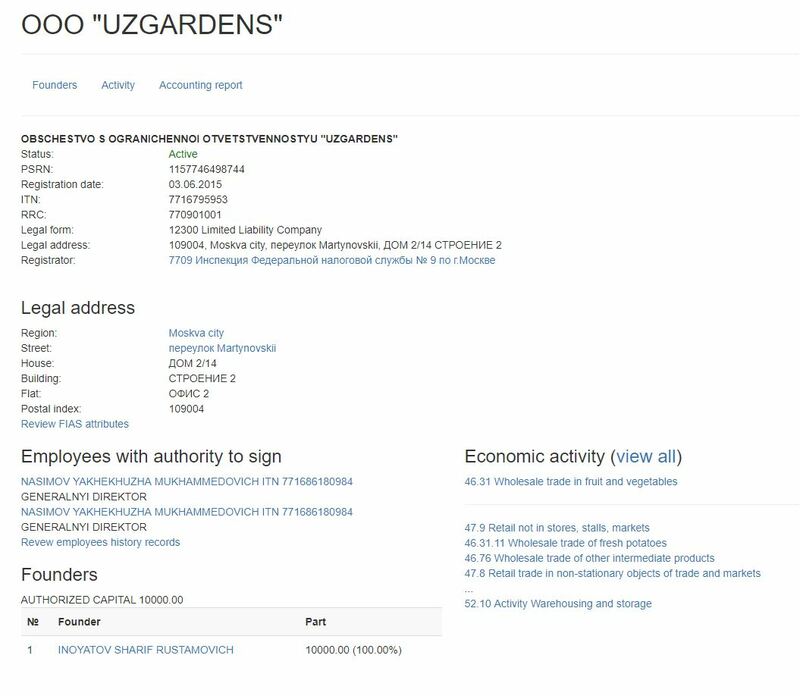 Sharif Inoyatov, the son of the SNB chairman, is the sole shareholder of Uzgardens, a Moscow-based wholesale company. 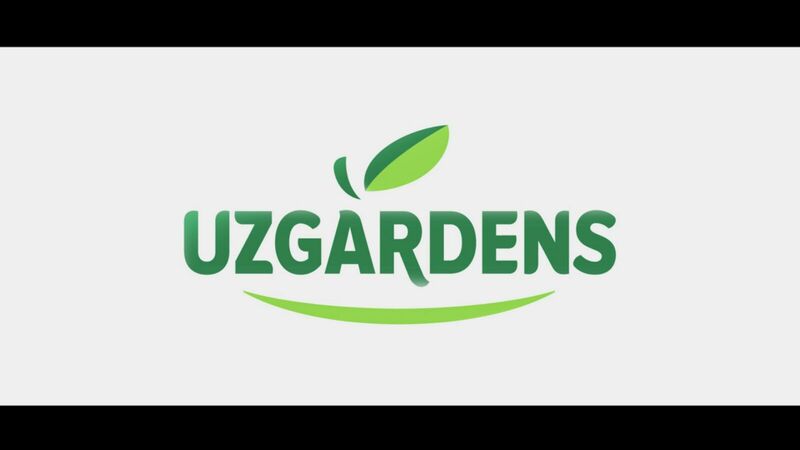 Uzgardens is the largest supplier of Uzbek dried fruits and vegetables to Russia. Inoyatov’s company is the exclusive importer and distributor of Gold Dried Food Export products in Russia. GDF Export is Uzbekistan’s biggest producer of dehydrated fruits and vegetables. Rustam Inoyatov has been chairman of the National Security Service since 1995. He has used his public office and Uzbekistan’s resources to enrich himself and his family. Inoyatov is not only a colonel general, but also an oligarch. Uzbekistan, the former Soviet Union’s largest agricultural producer, is a major exporter of dried fruits and vegetables to Russia. Traditionally, three countries, Uzbekistan, Iran and Tajikistan, supply up to 80 percent of Russian imports. In 2012, following Russia’s ban on imports of vegetables and fruits from the European Union and some other countries, a company called Gold Dried Food Export was founded in Tashkent. The main objective of the company was to increase the marketability of Uzbek dried fruit and vegetable products in the Russian market. One year later, in 2013, a huge fruit and vegetables processing factory was built on a 7 hectare lot. Using some of the most modern and advanced technology available in the world, capable of processing up to 120 tons of raw materials per day, GDF Export’s factory quickly became the largest producer of dehydrated fruits and vegetables in Uzbekistan. More than 95 percent of the factory’s total production is exported to countries of the Commonwealth of Independent States (CIS), mainly to Russia. 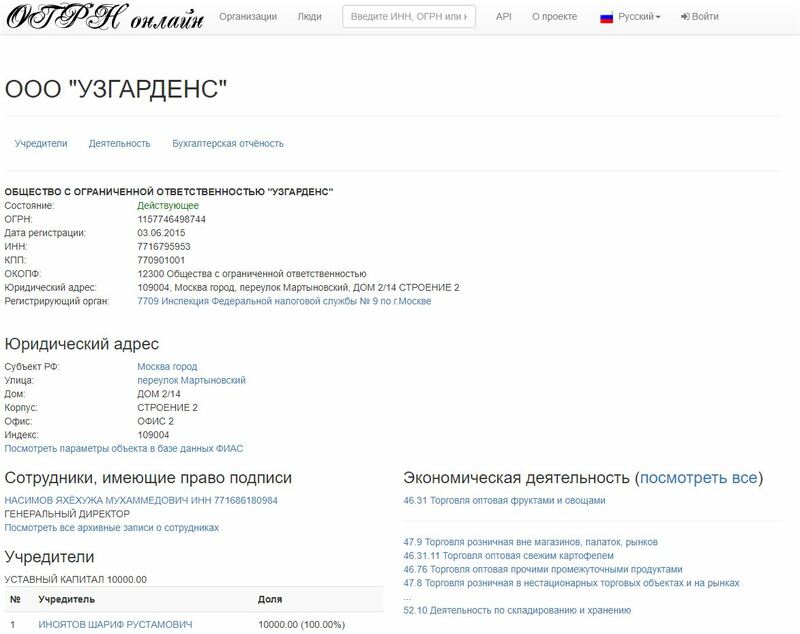 The Moscow representative office of GDF Export is owned by Sharif Inoyatov. Sharif Inoyatov is the son of Rustam Inoyatov, the head of Uzbekistan’s national intelligence agency. On 3 June 2015, Sharif Rustamovich Inoyatov founded UZGARDENS, a Russian Limited Liability Company specialized in “Wholesale trade in fruit and vegetables”. The legal address of Uzgardens is 2 Martynovskiy Pereulok, Moscow. As the sole shareholder of the company, Rustam Inoyatov’s son is entitled to all the profits of Uzgardens. Aside from Uzgardens, Rustam Inoyatov has other substantial business interests in Russia. His son owns, for example, 30 percent of Volovskij Kombikormovy’j Zavod, a food processing company based in Tula, western Russia. Sharif Inoyatov partners in Volovskij Kombikormovy’j Zavod are Rashid Dashlakiev, Ravshan Ubajdullaev and Baxtier Fazylov. OSI has already revealed that Sharif Inoyatov and Bakhtiyor Irgashev (Rustam Inoyatov’s brother-in-law) owned a Vienna-based firm called Benif Handels. (https://www.opensourceinvestigations.com/) Up until 2012, Sharif Inoyatov was a shareholder in another Austrian company, B.B.I. Bergbau-Handelsgesellschaf, headquartered in Salzburg. Inoyatov’s partners were Russian businessmen. SNB chief Rustam Inoyatov heavily invested in Austria, Russia and Uzbekistan. But his business empire has spread to other parts of the world too.